During the autumn of 1888, a series of murders occurred in London’s East End that sent shockwaves reverberating around the world. The victims were all prostitutes,their killer, a knife-wielding assailant with an insatiable bloodlust. Within the space of just three months, this unnamed fiend would claim at least five lives. Then, he mysteriously vanished, leaving behind a trail of mutilated corpses and a scar upon our collective psyche that endures to this day. 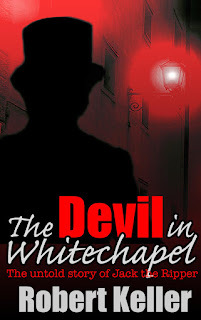 The atrocities attributed to Jack the Ripper have become the stuff of legend. And like any legend they have become the subject of wild speculation and unfounded theory...until now. Join true crime author Robert Keller as he embarks upon a forensic examination of this most enigmatic of murder cases. Jack the Ripper picked apart and challenged. During the autumn of 1888, a series of murders occurred in London’s East End that sent shockwaves reverberating around the world. The victims were all prostitutes, their killer, a knife-wielding assailant with an insatiable bloodlust. Within the space of just three months, this unnamed fiend would claim at least five lives. Then, he mysteriously vanished, leaving behind a trail of mutilated corpses and a scar upon our collective psyche that endures to this day. Contrary to popular belief, Jack the Ripper was not the world’s first serial killer. Who it is that holds that dubious distinction is unknown, although there are documented cases of serial murder going back to the Roman Empire and to China’s Han Dynasty. Further along the historical path, we can point to Gilles de Rais, a 15th-century French nobleman accused of murdering over 140 children, or to Peter Stumpp, an alleged werewolf who terrorized the German town of Bedburg, a hundred years later. Among the Ripper’s contemporaries, we find any number of psychopathic killers, including serial poisoner Mary Ann Cotton, depraved nurse Jane Toppan, and Chicago’s notorious “Torture Doctor” Dr. H.H. Holmes. So Jack wasn’t the first. 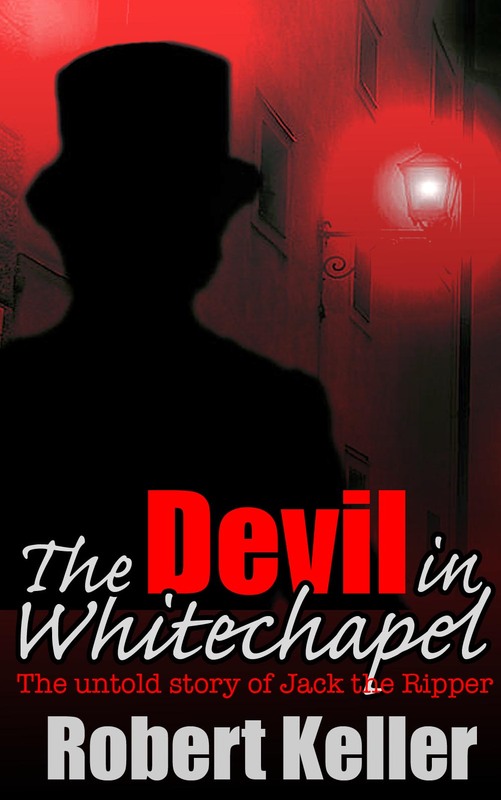 It would be safe to say, though, that no serial killer in history has garnered as much morbid attention as the Whitechapel murderer. Indeed, there can be few historical figures who have had as many manuscripts dedicated to them, from quasi-fiction potboilers to scholarly works of doctoral quality. In addition, there have been films, TV specials, plays, comic books, themed walks, even an opera. More recently, there have been internet sites and chatrooms where Ripper aficionados can debate their pet theories to their hearts’ content. Why our obsession with this one case? Perhaps it’s because it is the classic murder mystery. A fiend emerges from the fog, taking victims at will, his bloodlust escalating with each crime. Then, after a finale of unspeakable violence, he vanishes, leaving us to ponder who he was, why he did what he did, and why he suddenly stopped. It has all the elements of a perfect whodunit, except that there is no Sherlock Holmes or Hercule Poirot to point out the killer for us. Will we ever know Jack’s identity? Sadly, the answer to that question is, probably not. Many a name has been put forward but none of them entirely fits the bill. But that is not to say that we know nothing about the Ripper. We have a good idea, via the testimony of eyewitnesses, as to what he looked like; we are able, through an examination of the crimes, to form a strong picture of how and where he lived; criminal psychologists are able to enlighten us as to his motives and personality; the pathology reports give us insights into his modus operandi and address the important question of whether or not he had medical training. So, in spite of the shroud of mystery that envelopes the case, we know quite a lot about Jack the Ripper. We just are not able to name him. That, of course, hasn’t stopped us trying. Countless authors have attempted, over the years, to convince us that they have uncovered the Ripper’s true identity. In the main, the theories they have presented are dubious at best and often quite ridiculous. The Ripper was a homicidal cotton merchant, he was a famous painter, he was the heir to the British throne. Unfortunately, none of these are true. Rather they are the product of twisting the facts and dredging up questionable “evidence” in order to buffer a pet theory. That is not the approach that I will be taking in this book. Instead, I’ll be revisiting the crimes, scrutinizing the credentials of oft-mentioned suspects, and debunking the common myths surrounding the case. I’ll be re-examining the evidence, calling on the help of some expert profilers, and finally constructing a picture of the most enigmatic killer in history. If that sounds like something that might interest you, then I welcome you along on an exploration of one of the world’s great mysteries. First, though, we’ll need to walk in the footsteps of the Ripper. Permit me, if you will, to take you on a terrifying journey of the mind, back to London’s East End on a cold and drizzly eve in August 1888. Very exciting blog, I've always been fascinated by the whole Whitechapel Walks About.